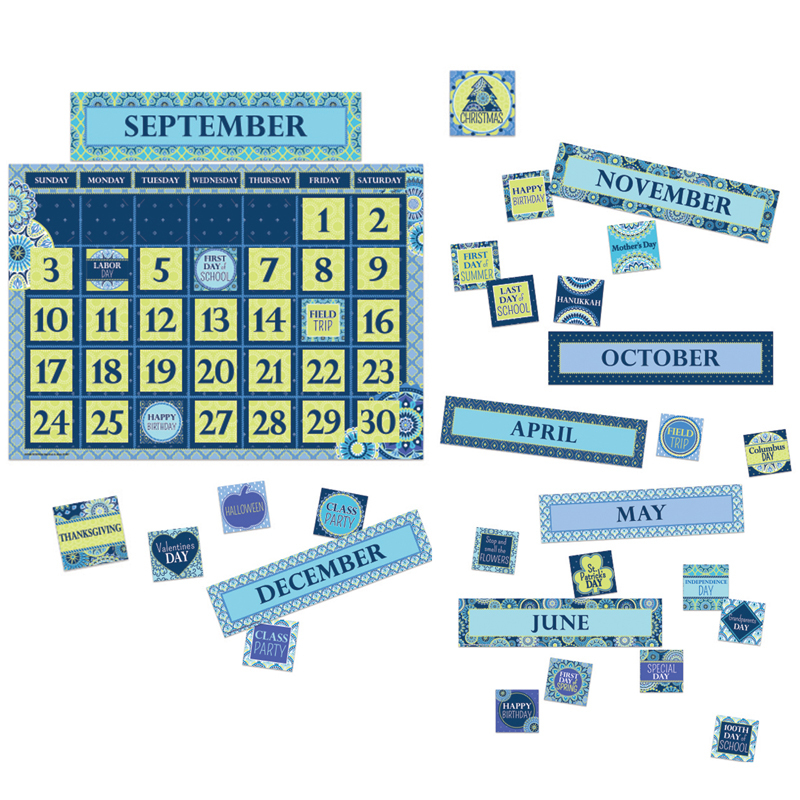 Teach and keep track of the days of the week and month with a 85 piece bulletin board set. Set includes 1 Giant Calendar (17" x 24"), 12 Month Headings, 33 Dates and 37 Special Days. Packaged as four 17" x 24" panels. Coordinates with the Blue Harmony collection.